During the course of the summer, two members of Politics and Contemporary History were involved in teaching and lecturing at Nankai University, Tianjin, China. 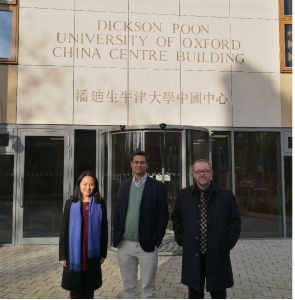 Dr Moritz Pieper presented a research paper at the Zhou Enlai School of Government, while Prof Alaric Searle delivered a four-week course on ‘Classic Works of British Historiography’ to undergraduates in the Faculty of History. The title of Moritz’s talk was ‘Mapping Eurasia: Comparing the Competing Public Diplomacies of Russia’s “Greater Eurasia” and China’s “Belt and Road”’, which he delivered on 19 June. In his guest lecture, he presented a survey of the public diplomacies of China’s Belt and Road initiative and Russia’s vision of ‘Greater Eurasia’. Despite a level of economic competition between the operating modes of the economic land corridors envisioned under China’s ‘new Silk Road’ initiative and the Russian-dominated Eurasian Economic Union, Moritz argued, a convergence of interests between Russia and China on the global plane might temper the effects of regional rivalry. 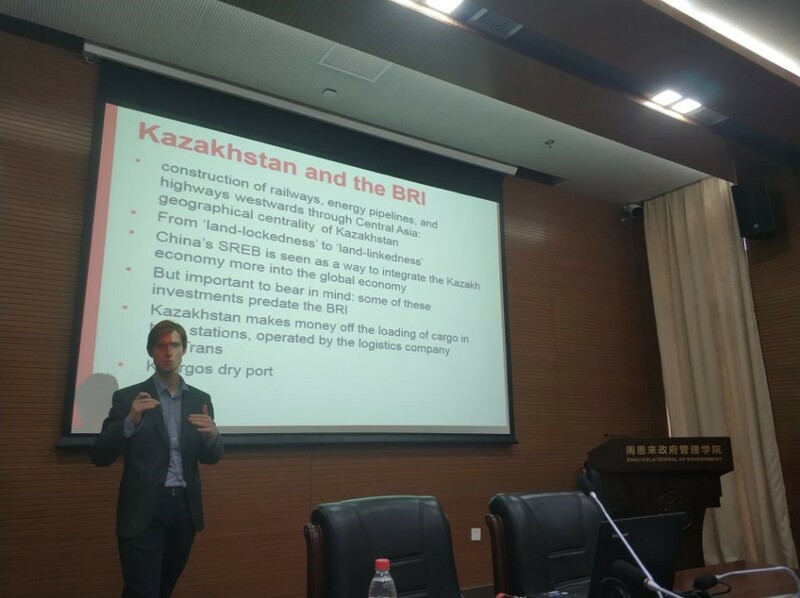 The presentation reflects Moritz’s current research project on the Belt and Road Initiative and its significance for Central Asia, for which he was awarded a Vice-Chancellor’s Early Career Research Scholarship. Students and staff alike engaged in a lively discussion about Central Asia, Trump, and IR afterwards, followed by some Peking duck sampling. The School of Arts and Media has played host over the last week and a half to Dr Wang Wei, Lecturer in International History, Faculty of History, Nankai University, Tianjin, PR China. 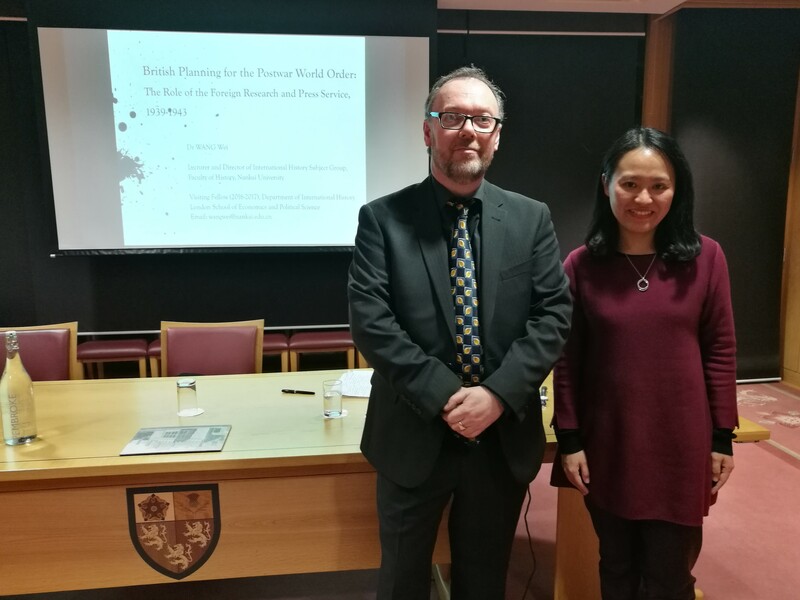 Dr Wang delivered a paper at New Adelphi on Thursday afternoon, 4 May, on the subject of her current research: ‘Arnold J. Toynbee and British Planning for the Post-war World Order during the Second World War’. She has also been undertaking research at the People’s History Museum, as well as examining some of the collections held in the Working-Class Movement Library in Salford. 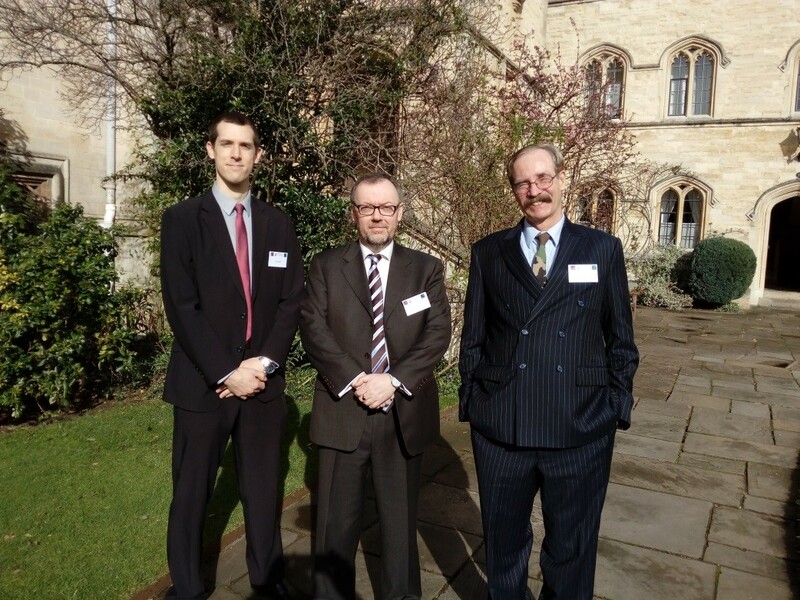 On Monday, 6 March 2017, three Salford academics delivered papers at a one-day conference held at Pembroke College, Oxford. The conference on ‘Military Doctrine: Past, Present and Future’ saw historians and armed forces practitioners meet to discuss the way in which military doctrine has been formulated and disseminated in the past, with a discussion on how past and current experience can inform future practice. 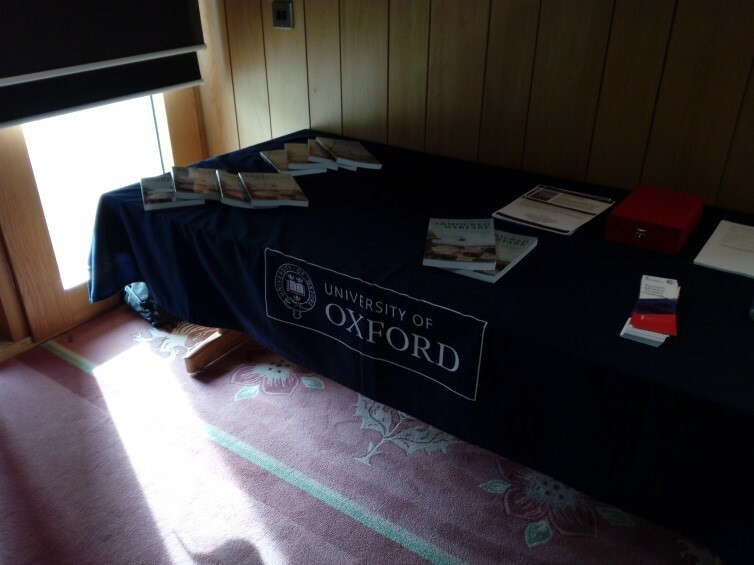 The conference was hosted by the Oxford Changing Character of War (CCW) Programme. Three Salford military historians – Dr Brian Hall, Professor Alaric Searle and Dr James Corum – delivered papers, together with other academics and several practitioners. Military doctrine is, in essence, what armies put in their manuals; the process itself can be very contentious, often leading to major internal controversies inside armed forces. The aim of the conference was to provide an international, historical perspective, and combine these papers with presentations by those who had been involved in the process in the past. Professor Searle began the conference with an overview of historical experience and the lessons which suggested themselves. Dr Brian Hall, Lecturer in Contemporary Military History, offered a case study of British communications doctrine in the First World War. Dr James Corum, Lecturer in Terrorism and Security Studies, one of the co-authors of the US Army FM 3-24: Counterinsurgency manual of 2006, written under the direction of General David Petraeus, reported on the experience of doctrine-writing for what has turned out to be the most down-loaded field manual in history. 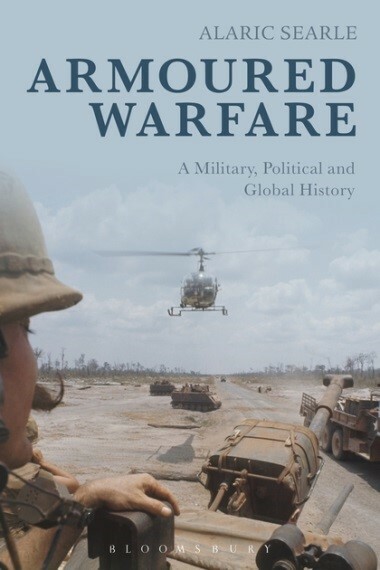 Alaric Searle, Professor of Modern European History in the School of Arts and Media, was able to launch his new book, entitled Armoured Warfare: A Military, Political and Global History, at a conference at Pembroke College, Oxford, last week. Following a one-day conference on ‘Military Doctrine: Past, Present and Future’, he was interviewed by the Director of the Oxford Changing Character of War Programme Director and Senior Fellow at Pembroke College, Dr Robert Johnson, on his motivation for writing the book and which trends he anticipated in armoured warfare over the next two decades. The presentation of the book was followed by a wine reception at which conference participants could purchase a copy of the book and network. 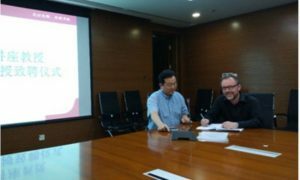 Prof Alaric Searle, who was appointed Distinguished Visiting Professor in the Faculty of History, Nankai University, Tianjin, PRC, in June of last year, has already started to cooperate with staff from Nankai. 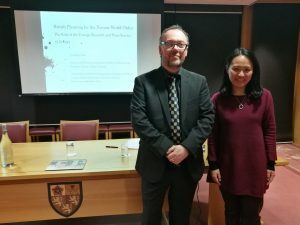 Within the framework of his recent Visiting Fellowship to Pembroke College, Oxford, and the Changing Character of War (CCW) Programme in particular, undertaken during his sabbatical in Semester 1 of AY 2016/17, Alaric was able to arrange a guest lecture in Oxford by Dr Wang Wei of Nankai. 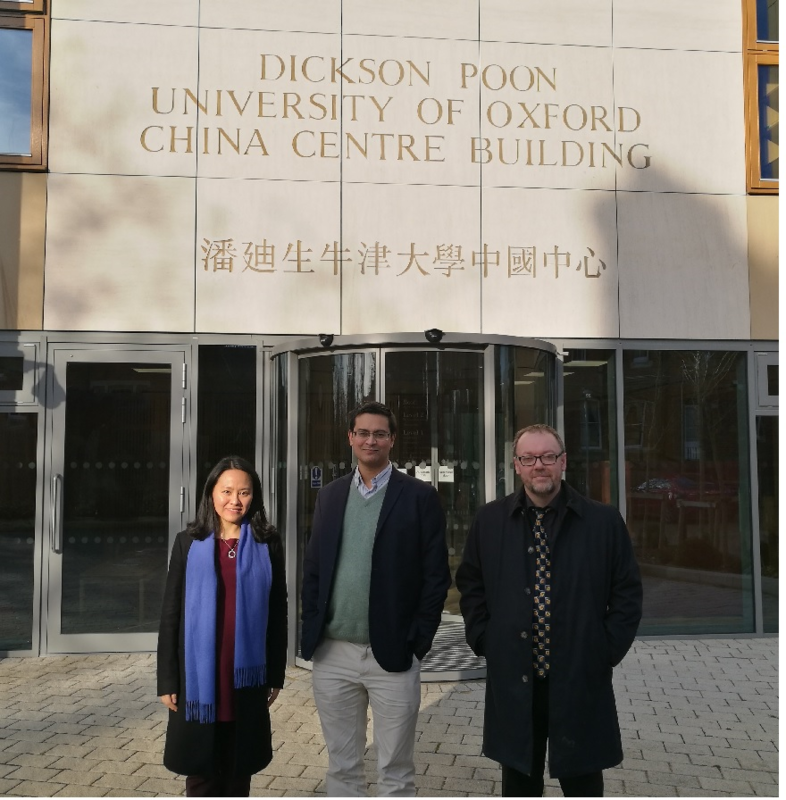 During the course of the visit to Oxford, Prof Searle and Dr Wang also had the opportunity to meet with Rana Mitter, Professor of the History and Politics of Modern China, at the University of Oxford China Centre. 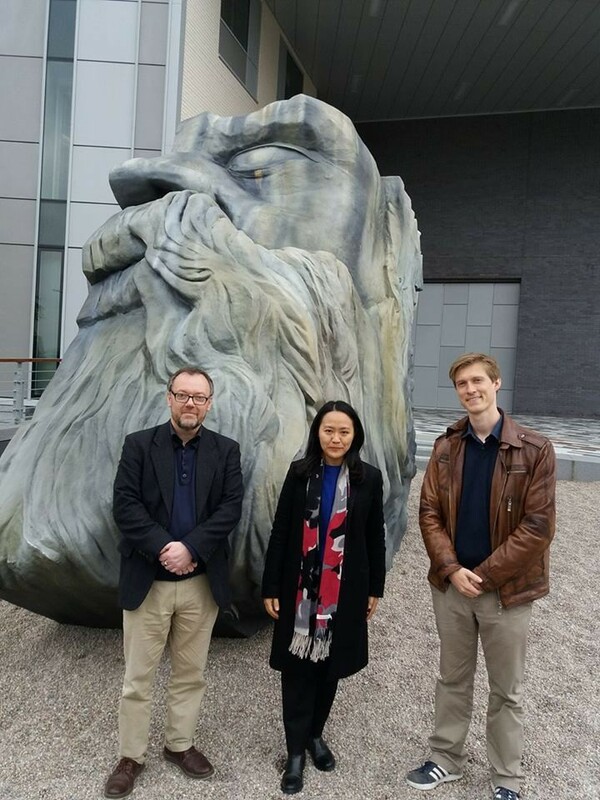 Prof Mitter, who is well-known for his research on twentieth century Chinese history, most recently through his book China’s War with Japan, 1937-1945: The Struggle for Survival (2013), discussed a variety of topics and projects relating to Chinese history with Alaric and Wei. The School of Arts and Media strengthens its Chinese partnerships once again with the news that Professor Alaric Searle, Chair in Modern European History, has been awarded a Distinguished Visiting Professorship at Nankai University. The Professorship will last for three years and Professor Searle will visit Nankai for two months each year. During these stays, he will deliver short courses and workshops for students, as well as collaborating on research projects with his colleagues in the Faculty of History. During his Professorship, Alaric will help the Faculty strengthen its coverage of European, German and British history for Nankai students. The award was made at an official ceremony at Nankai in July.